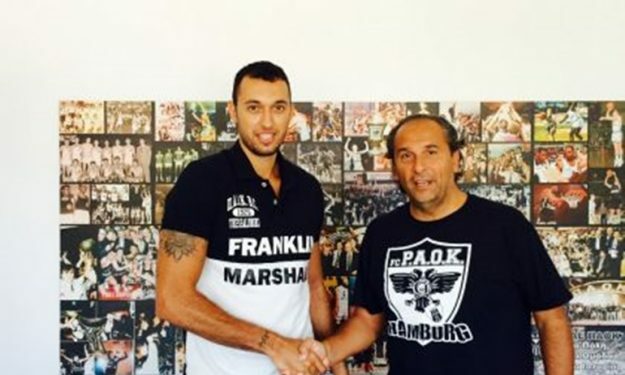 A familiar face is back in PAOK, with the return of Greek forward Linos Chrisikopoulos. The 23 years old forward, once considered the best Greek player of his age played also in 2013 in PAOK. Chrysikopoulos was a member of the Greek junior national teams. He played at the 2008 FIBA Europe Under-16 Championship, the 2009 FIBA Europe Under-18 Championship, the 2010 FIBA Europe Under-18 Championship, and the 2011 FIBA Europe Under-20 Championship. He was part of the junior teams of cross town rival Aris and he played also for Biella in Italy, KAOD and Nea Kifisia. The young player will make his FIBA Champions League debut with PAOK.